The Sumner/Redccliffs RSA will be holding an ANZAC Day Parade at 10.30am on Thursday 25th April. Assemble for the parade at 10.30am on the corner of the Esplanade and Stoke St and march to the Sons of Sumner War Memorial for the laying of wreaths. The service will begin at 11.30am at Hollywood Theatre, Marriner St.
After the service there will be refreshments and entertainment at “On the Rocks” (corner of Marriner St and Wakefield Avenue). Cheers Annabelle for the image. 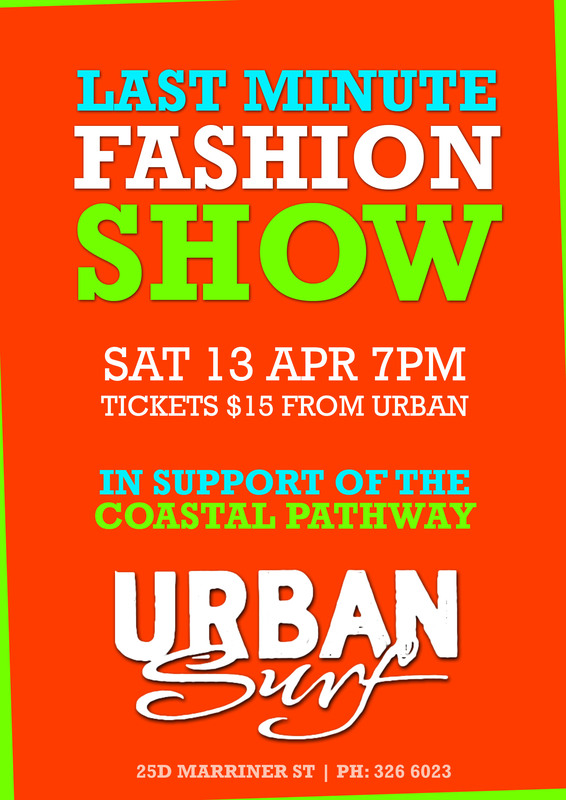 Support the Coastal Pathway at Urban Surf Fashion Show! Jacob (yikes) Ryan is a Christchurch based artist who works in a range of artistic fields, including design and illustration, acrylic and mixed media paintings and larger aerosol based works. Jacob has been involved in the Christchurch graffiti scene since 2005 and has collaborated with many of the local artists around the city. Many of his works were destroyed in the recent earthquakes and since then Jacob has been involved with bringing public art back to the city. Since graduating with a diploma in fine arts from the Design and Arts college NZ in 2010, Jacob has been working on a number of commissioned murals and canvas works for local businesses. Jacob’s work consists of strange characters and organic letter forms combined with a number of abstract techniques. He predominantly works with a freestyle approach, beginning with a basic plan and developing it as his work flows.For more information see Jacob’s website. I would like to introduce you guys to Sumner local Liv Jefferis! Liv is taking over my role as a content manager, as I am off to new adventures for a while and thought it will be too hard for me keeping up with all the happenings here in Sumner if I am not actually here… I have chosen Liv because she has that special something, the MAGIC! I know you will all love her! Liv, tell us why you live in Sumner? Living in Sumner is like constantly being on holiday! I love being able to jump on my long-board and check out the surf, or walk into the village for a bite to eat and a drink. I’m all about lifestyle and there is no better place for that than Sumner! Since the earthquakes I have really noticed how the Sumner community has pulled together, it is becoming such a positive place to be and one which I love being a part of and hope to become more integrated in through this role. An absolute obsession. I try and get out every day, even if it’s just for some paddle fitness. I fall asleep reliving every wave I have caught that day and constantly find myself daydreaming about it. I really enjoy photography, capturing awesome moments so that the memories of them never fade. I try and find a different angle for each shot and build in a creative aspect, as well as documenting the life around me. As well as that I love to be creative through cooking. I experiment with different ideas and recipes and even write a blog about what I have been up to in the kitchen. What is it that inspires you in life? So many things inspire me! The people around me who are all so passionate about different aspects of life really inspire me to pursue and develop my interests. I love that some people are so happy and yet have such a simple life. I try to take notice of the simple things and minimize stress and materialism by not focusing on money but more on eating well, surfing and being around the people I love. You will be the new content manager for both the Sumner Village website & Facebook page! What can we expect? 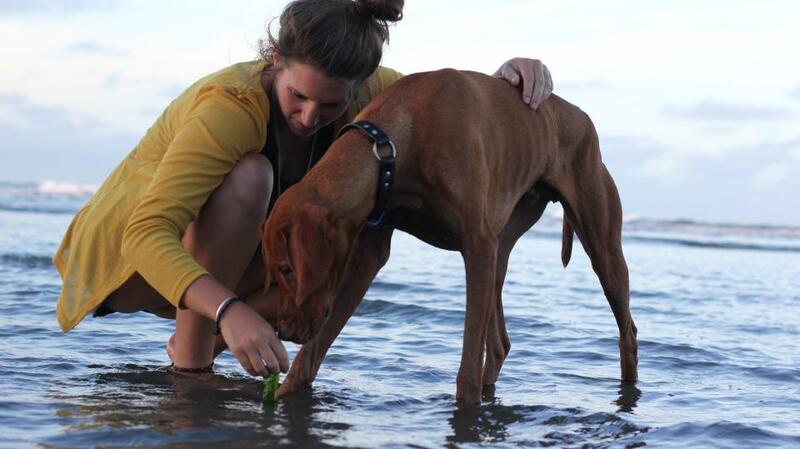 I hope to continue the awesome work Sabrina has done establishing and building both the website and Facebook page. I have some new ideas too so keep an eye out for new developments. I am hoping to start an open mic night as I have three very talented flatmates and I bet there are many more muso’s in Sumner who would love a chance to get together and play for a few people or just jam! What do you love about Sumner? Everything! The chilled out vibe, the lovely but temperamental NE swell, the community and friendly atmosphere. When you walk down the street everyone says “Hi”… where else does that happen?! Please feel free to stop me on the street and say hello and let me know of anything that the community or those coming into Sumner should know about! Thanks Sabrina for the amazing job you have done for Sumner Village! Awww thank you so much Liv! I am very excited knowing I have found the perfect match in you… I am sure our readers and followers will enjoy having you involved. Sumner has got a very exciting future and I can’t wait to read about all the adventures you will be up to!! 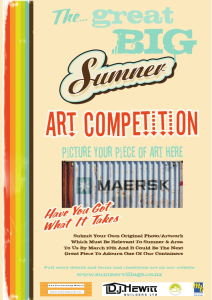 This is the Entry Form you need to fill out in order to enter our great art competition! Please fill out the form completely before you send it in with your art work! Also make sure you read & understand our terms & conditions. As well as the entry description. Movie/wine & cheese night at the sumner cinema $15 per person 1 drink free! Seventh Wave Charity Art Auction! Plus party with the ”Funky Hot Mamas” at the Ferrymead Golf Club. All proceeds of the Auction will be donated to Make-A-Wish New Zealand! $20 per person includes nibbles/fingerfood. Find out more about Erin on her Facebook!